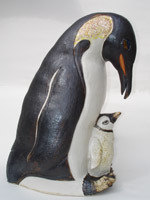 The Zoo Ceramics range is quite extensive, but it is always a challenge to be given an interesting commission. 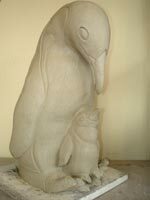 The addition of a chick to the base of an adult emperor penguin may appear to be an easy task, but it adds strain to the overall body of the piece. 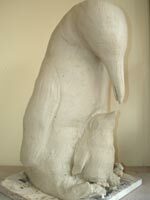 Using Valentine's white hand building clay a flat base is rolled out, shaped and cut to size. Coils of clay are added and blended together to create the body and wings of the birds. 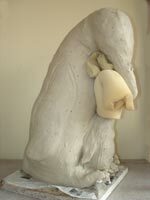 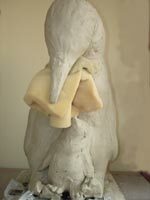 A cushion of sponge is used to position the head, whilst the work dries out a little. 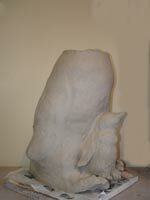 The work is now ready to shape and carve. 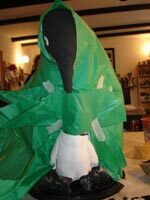 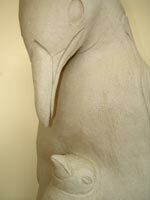 I always start from the beak of the main piece and work my way down and over the body adding details and patterns. 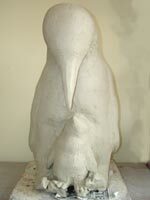 It takes some time to position the eyes in the correct place on either side of the bird's heads. 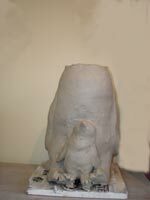 Lots of measuring and standing back to inspect the piece is required; otherwise the piece will take on a rather comical expression. 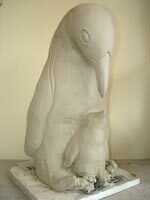 The finished penguin and chick are left to dry out alongside a solitary bird. 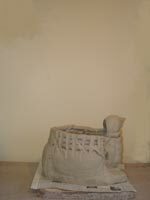 The pieces will stand for about three weeks to slowly dry out before being fired to 1000 degrees in an electric kiln. 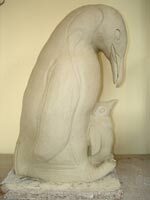 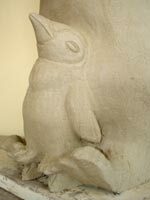 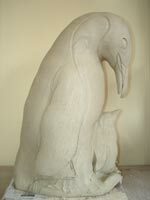 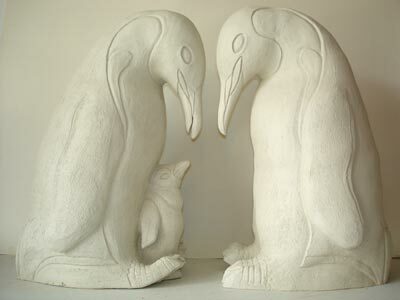 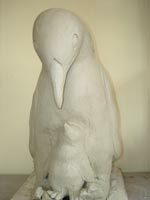 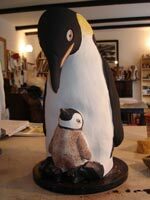 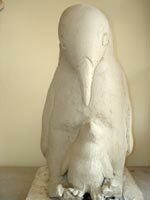 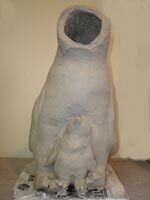 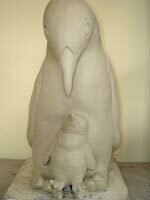 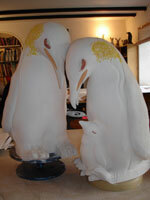 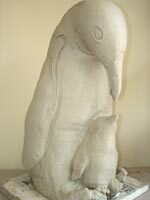 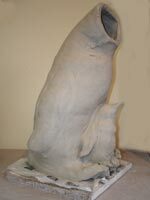 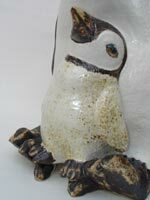 The bisque fired penguins are soaked in water before a marble white glaze is pored on to the pieces. 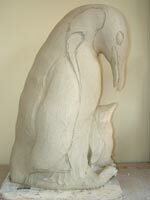 The excess white is sponged off and then the coloured stains are applied. 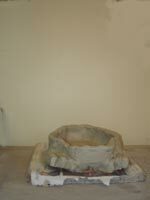 Tissue is wrapped around the main piece so that oxides can be sprayed on to the body of the chick. 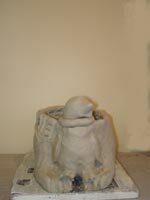 The finished piece is then placed back into the kiln to be fired at 1260 degrees.